Dr. Warren’s blogger articles on language arts. Occasionally, I get inquiries from other learning specialists in the field that have difficult cases. Recently, a director of a tutoring academy asked me a question about a new student, and I thought I would share our correspondence for this week’s blog post. Names have been altered to preserve anonymity. I have a question about a new case. When I first contacted you about two years ago, it was because I had a little 5-year-old girl who was way behind. Your guidance really helped me. Anyway her first cousin has come to us. The girl turned 4 in June, and she is having a number of issues. She has no number recognition and no letter recognition, except the letter “A” – because her name is Alice. She does recognize most of the basic shapes. However, she can only trace, but not copy them. I asked her to write her name, but all letters were illegible – but the letter A. I’m not sure it was even her name. She knew all her colors, but blue, which she called “lellow.” I had her color fruit, and she colored both grapes and an apple blue. She had no rhyming ability, and no concept of compound words. I gave her the two words to put together. I don’t know where to begin. Do you have any suggestions? I like to work off of student strengths, and it sounds like Alice can trace. So, I would use this ability and have her trace things and color them by placing images into dry erase pockets. Be sure to get a variety of dry erase markers too. First, you can place letters, numbers, and different colored shapes into the dry erase pockets and ask Alice to trace them while saying the name (and color – if applicable) 5 times. In the beginning, stick to one category and limit the instruction to 5 concepts. For example, focus on the first 5 letters of the alphabet. You can do both upper and lower case letters at the same time, or focus on one at a time. Second, blow up a balloon and write each of the 5 letters onto it with a permanent marker. Be sure to make the letters as large as possible. Third, toss the balloon to Alice and see if she can name the first letter she sees while tracing it on the balloon. Pass the balloon back and forth. You can do the activity too, so she can learn vicariously through demonstration. After she can do each of the letters successfully, teach her the letter sound. Toss the balloon up in the air. Say you see the letter “B” trace the letter and say the letter name 5 times. Then say “B makes the ‘b’ sound like balloon.” Do this for each letter and then let Alice give it a try. Fifth, when the session is over, encourage Alice to take the balloon home and teach the games to her parents and siblings. You can follow the same sequence for numbers and shapes. Use the App Touch and Write. This is such a fun, multisensory, motivating approach that I’m sure she will enjoy! I would start to teach her rhyming and blending once she has learned all her letters, numbers and shapes. If you find that she likes to play games, you can check out my reading games primary too. I hope you found this blog helpful, and that sharing our correspondence has offered you some ideas. 2) Select 12 cubes. I line the cubes up in a row and write all the vowels in capital letters (including “y”) on each cube two times making sure not to place the same vowel on a single cube more than once. Then I add the consonants as suggested below. 3) I assign the point value on the bottom right hand corner. This will also help the players to orient the letters. For example the letter P will look like the letter d when it is upside-down but as long as the number indicating the point value is in the bottom right hand corner, players can recognize that they need to rotate the letter to the proper orientation. Also, using capital letters helps with letter confusion. 4) Other items needed to play: a timer and a set of 12 colored cubes with the letters and point values for each player. Each player rolls their set of 12 colored cubes onto their playing area (they can not change the orientation of the cubes but must use the letters rolled. Set and begin timer for 2-5 minutes. You can decide the amount of time you like. Words must crisscross like a scrabble game, and players must try to use as many cubes as they can. When the timer goes off, the play ends and players add up their points. Do some of your students struggle with subtle linguistic cues, tricky wording and following both oral and written directions? Difficulties in these areas can make it challenging to complete all aspects of an assignment, interpret multistep directions and comprehend multiple choice tests. This is a common problem for students with dyslexia and other language based learning disabilities, however most students benefit from the development of this skill. So what can we do to help foster these skills while bringing in the fun factor? With the holiday season around the corner, many students love to get into the spirit and providing festive activities can be entertaining and motivating. My Thanksgiving and Christmas Following Directions Activities could be just what you are looking for! In fact, I offer a holiday bundle too that celebrates, Halloween, Thanksgiving, Christmas, Easter, St Patrick’s Day and Valentines Day. Come download some free sample following directions activities. If you would like to enter a contest to win a free copy of my Holiday Bundle, come on over to my facebook page between now and December 15. Many high school graduates report weak grammar skills, and they claim that they had little instruction in this area of academics. In fact, poor grammar deters many from communicating in writing, but when they do put pen to paper, mistakes can leave a negative impression. What’s more, although many are cognizant of this gap of knowledge, most never find the time to master this skill. Even today, very few students experience comprehensive instruction in this area. Clearly, this is a curriculum oversight that needs to be addressed. Why Should Students Learn Grammar? It offers a deep understanding and appreciation for our language. Excellent grammar on important documents such as a college entrance essays or job applications can reflect favorably on your candidacy. It gives individuals the tools to be mindful, confident writers. It teaches the logic behind written language. It will improve grades in virtually all subject areas. It will improve scores on college entrance exams. There are a lot of rules to learn and exceptions to master. The English language generated from a number of diverse languages such as Old English, Norman French and Latin. This creates complexities in the learning process as well as exceptions to rules. The English language changes as our society accepts new shifts in linguistic rules. American English is constantly morphing with the influence of modern twists grown from new ideas, concepts and informal words and phrases that become commonplace. For example, ending a sentence in a preposition was once considered poor grammar, however, now it is generally accepted. Our culture often takes shortcuts such as the use of contractions and our pronunciations change with the insertion or deletion of sounds. For example, in Britain, they spell the word color, colour. The American English language does not have a designated authority to clarify the “rules” behind our language, and you will find that teacher expectations are diverse and disagreement upon rules is common. What Can We Do to Make Grammar More Appealing to Learn? Focus on the basics of grammar that we all agree upon. Reinforce knowledge with grammar games. If you would like to learn more about my most recent publication, Grammar Games Galore, just click on the prior link or the image to your right. One of my favorite things about being a learning specialist and educational therapist is creating a unique approach for each of my students. Each learner comes with a one-of-a-kind set of strengths and weakness, as well as likes and dislikes. Therefore, with the help of my students, I’m continually fashioning new instructional approaches and materials. But meeting the needs of my students is just half my professional pie, as I also strive to assist and guide colleagues and parents in solving onerous, remedial needs. I often get emails from my followers asking for my advice about how to meet the needs of students that are challenging to remediate. I recently received an email from a reading specialist asking me to help with a tricky case. As my response could benefit others too, I decided to share my ideas in this week’s blog! As Peter is very sensitive and his confidence in school is suffering, it will be important to bring the fun factor into learning. 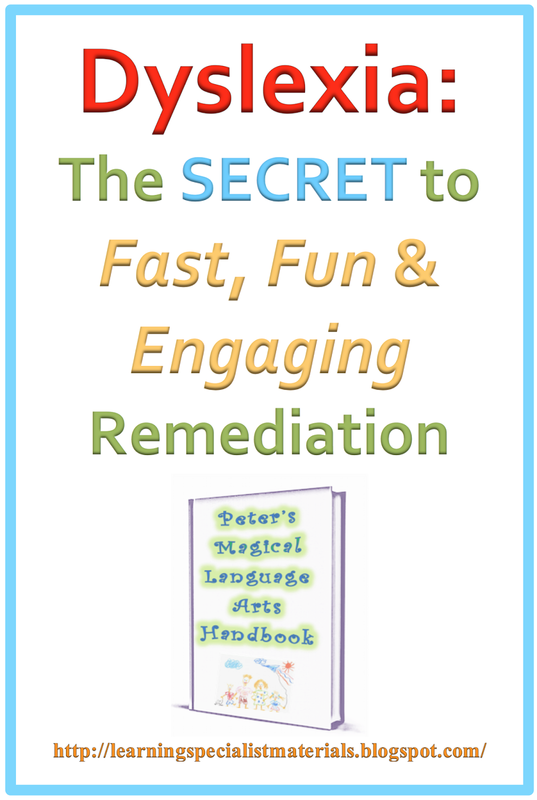 I purposely asked for information about what Peter loves to do, and believe that integrating this into his lessons will help him find joy in the learning process, and it will motivate him to master his letters. Also, getting excited about these strategies and making a big deal about his accomplishments is key! work with that letter for the whole week. If this method is too slow, he can do two letters a week, but work on them separately. One letter for 3 days, the other letter for 3 days and then both letters for the final day. Use the App Touch and Write to help Peter have fun forming the letters. Create a “alphabet golf game.” Once Peter has learned a few of the letters. Scatter the letters on a carpet. When you say a letter, Peter must hit the golf ball to that letter. As another option, multiple players may have to spell out a word such as “cat,” by hitting each letter with the golf ball in sequence while calling out the letters. 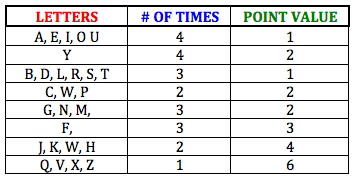 The player to do this in the fewest number of tries is the winner. Since, Peter “loves his friends and is a great playmate,” this could be a great game for him when he has a playdate. 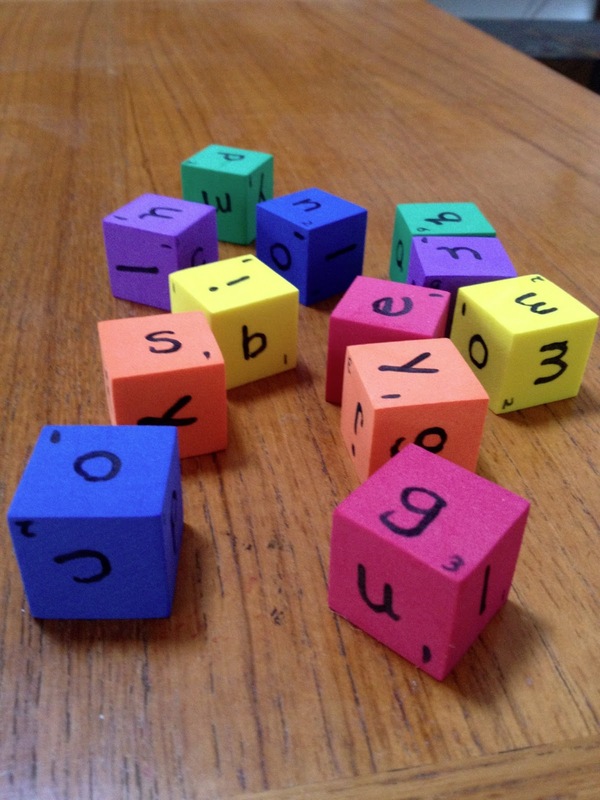 Create activities for Peter to complete for each letter. Generate fun names for the activities to enhance motivation. Create a colorful collage of the letter by asking Peter to tear out that letter from magazines. Let Peter do a coloring activity for this letter. Mr. Printables offers alphabet coloring pages at no cost. Ask Peter to create both the capital and lowercase letter out of legos. Outline a large copy of the letter or cut a letter out of black construction paper and ask Peter to turn the inside of the letter into a road by drawing white dashes (see image). He can also add details around the letter when drawn on a large piece of paper, such as trees and houses. Help Peter learn to form the letter properly by taking one of his toy cars and helping him learn how to properly trace the letter with his toy car. Let Peter come up with his own creative ways to make the letter by thinking of a word that starts with that letter and associating the image of that word with the letter. For example, Peter could make the letter A look like an apple. Allison McDonald from No Time for Flash Cards offers some great ideas. Let Peter make the letter out of cookie dough and bake cookies. When eating the cookies, try to think of a word that begins with that letter. Help Peter use tape to draw the letter on a carpet and have Peter use a golf ball and a putter to trace the letter. Create a printout of letters and ask Peter to circle only the letter that he is working on. You can also use print materials such as magazines. Like a hidden picture, Peter may have to find all the letter Bs. Help Peter take a picture of the letter in nature or around the house. 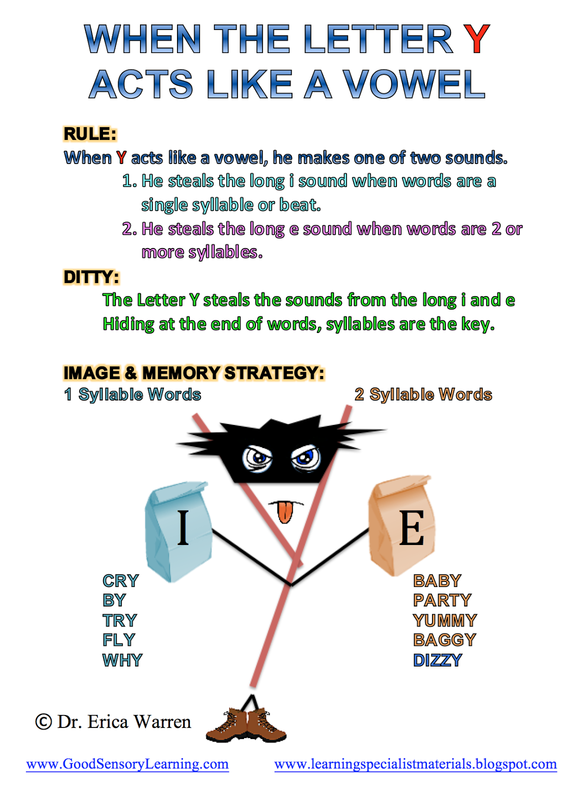 To learn more about this as well as some other fun letter strategies, click here. take pictures and create a photo book in IPhoto or sites like SnapFish. Create a song or rhyme for each letter. YouTube offers a number of options. Here is one about the letter B. Create your own tongue twisters for each of the letters. For example, Billy Butler Bought Buttery Biscuits. Once Peter has learned a few letters. Place them on a balloon. Toss the balloon to Peter and ask him the name of the first letter he sees. Once he has mastered this, ask him to make the letter sound. Another options is to ask Peter to think of a word that begins with that letter or ask him to act out a word that begins with that sound. Because Peter’s working memory and visual memory appear to be areas of deficit, it is also important for him to build these skills through cognitive remedial games. I have two publications in mind. Reversing Reversals Primary – This publication develops visual memory, visual reasoning, spatial skills, auditory and visual memory, sequential memory, visual discrimination, tracking, attention to detail and more. It is ideal for learners that exhibit confusion with letters and numbers. Better yet, the game-like activities use animal characters, so the students won’t even realize that they are developing the foundation skills behind reading and math. Working Memory, Hemisphere Integration, Sequencing and Attention Building Activities: Beginners – This publication helps to develop working memory, hemisphere integration, sequential processing and sustained attention. Peter should try these activities after he has been working with Reversing Reversals Primary for some time and he has learned the letters and his numbers up to 20. I hope you found this blog helpful. If you have some other ideas for Peter, please share them! Would you teach your students a reading rule, if the rule only worked or was applicable less than 50% of the time? The saying: When two vowels go a walkin’, the first one does the talkin’ is a rule that most learners know. But if your students applied this to a comprehensive exam on vowel teams or vowel combinations, they would likely fail the test. Clearly, this rule creates more confusion than good. How Can Students Successfully Master the Vowel Teams or Vowel Combinations? I like to use visualization strategies, hidden pictures, mazes and games to help my students master the concept. What used to be a boring and tedious task is now fun and memorable. How Can I Learn This Strategy? I’m offering a free sampling of my publication: Vowel Combinations Made Easy. This will allow you to see some pictures as well as a maze that I use to entice my students. The full publication also includes a number of engaging games. I hope you enjoyed this blog. If you have any questions or thoughts, please leave a comment. It’s easy to forget how challenging it can be for children to learn the complexities of the English language. Following a parents’ directives, interpreting the needed steps to complete a homework assignment, understanding multiple choice test questions, and discerning a teacher’s instructions are just a few examples of how young learners need to be able to understand and navigate the subtleties of linguistic cues. For many children, learning to follow directions is a complex task that requires instruction, and the mastery of this skill involves vocabulary development, mental flexibility, attention to details, listening skills, receptive language skills, and verbal reasoning. What Happens When Kids Have Trouble Following Directions? When kids have trouble following directions, they often encounter the annoyance and frustration of others. In fact, a true misunderstanding can even result in ridicule and punishments that can leave the child confused and dejected. How Can We Teach This Needed Skill in a Positive Way? The two most important things to do is to be patient and to make the process fun and engaging. Playing games like “Simon Says,” or creating a scavenger hunt can help to teach this needed skill, but finding the time to do this can be difficult. However, if you would like to develop this skill through printable, game-like handouts or workbooks, I am offering free samples of my Following Directions: The Fun and Easy Way publications. Just click here to learn more. I hope you found this post, ideas and materials helpful. If you have any thoughts or further ideas, please share them below this post. the many types of prepositions and had a good belly laugh.